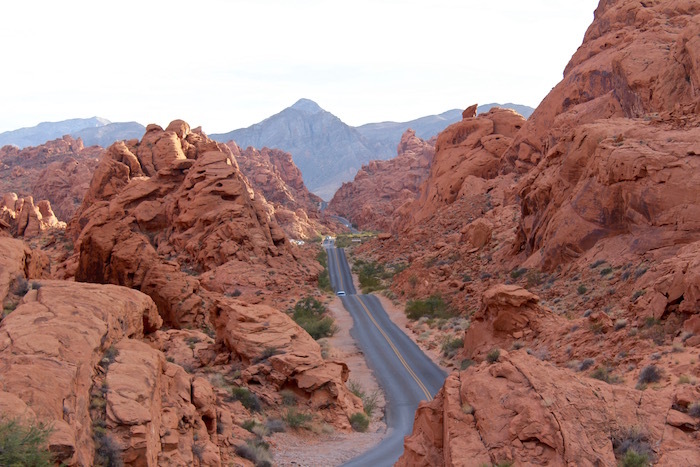 I’ve been to Las Vegas a lot, but I’ve never experienced it beyond The Strip like I did as a guest of Travel Nevada. 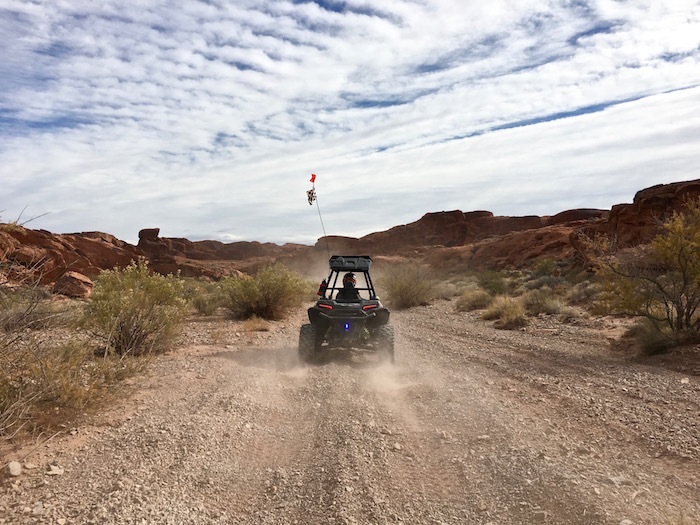 I was blown away exploring outdoor adventures all within an hour’s drive of Sin City. If you’re like me and prefer nature over slot machines, hiking over clubbing and local businesses over big corporations then you’ve hit the jackpot! 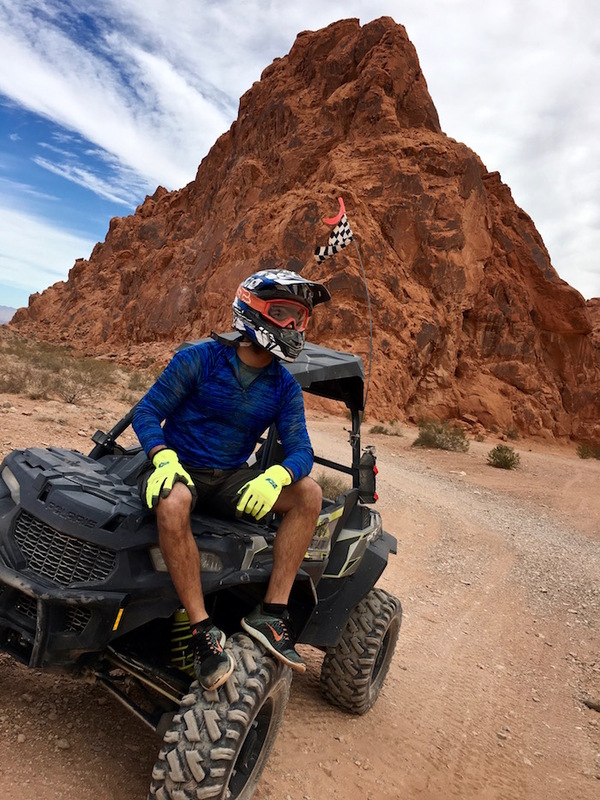 Exploring Nevada as an outdoor adventurer (instead of a gambler) will give you a new appreciation and love for Las Vegas – it did for me! 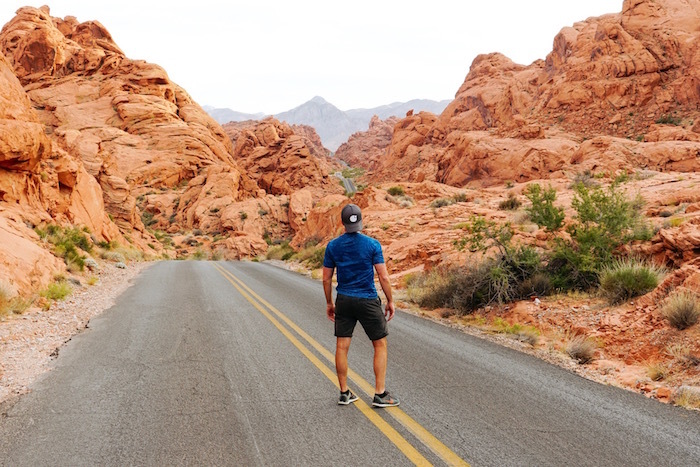 Here are the 8 Best Things To Do In Vegas Beyond The Strip. 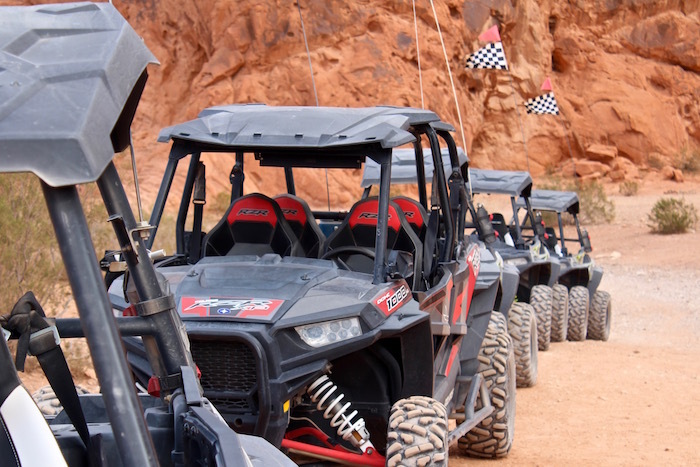 Hands down what tops my list of best things to do in Vegas beyond The Strip is ATVing with Adrenaline ATV Tours. 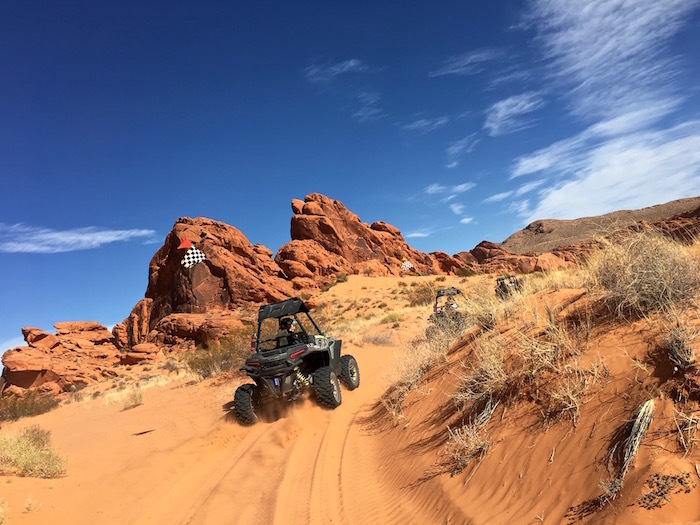 Located about an hour outside of Vegas in Overton, Adrenaline ATV Tours will even pick you up at your Vegas hotel to make transportation easy. 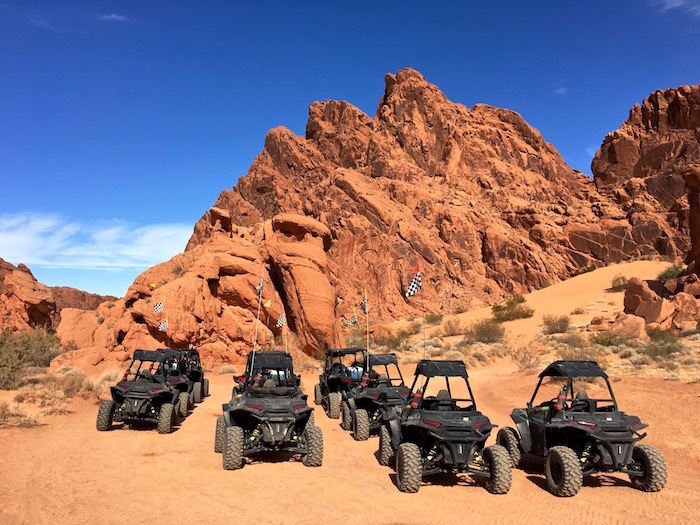 Their guided tours put you in the driver’s seat of new Polaris ATV equipment where you’ll explore the protected trail systems of the Valley of Fire. 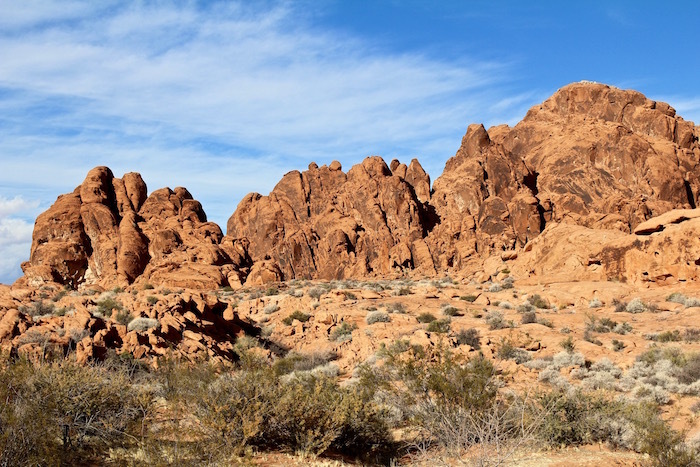 For three hours our convoy attacked bumpy roads through stunning red rock formations and desolate desert landscapes. 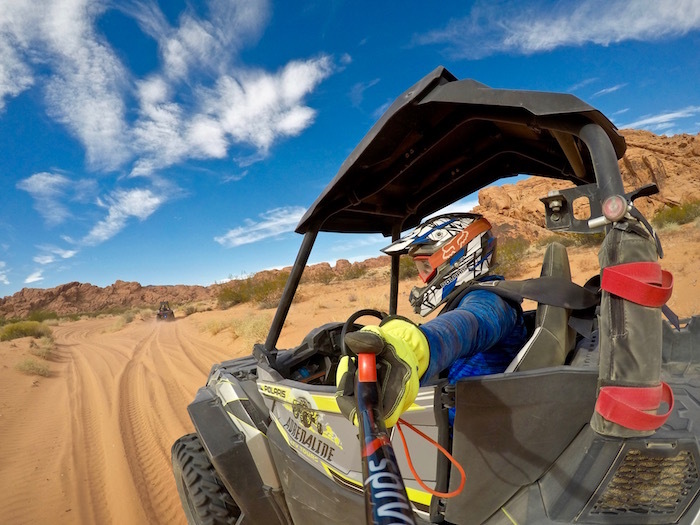 Driving a 1-seater ATV is an adrenaline-inducing adventure that is sure to leave you smiling and oh yeah… dirty! 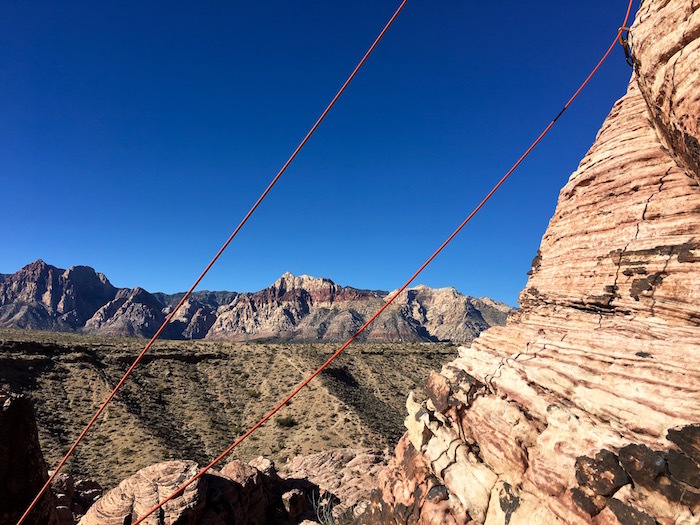 For the amount of times I’ve been to Vegas, I CANNOT believe I never visited Red Rock Canyon, a sin for any outdoor adventurer! 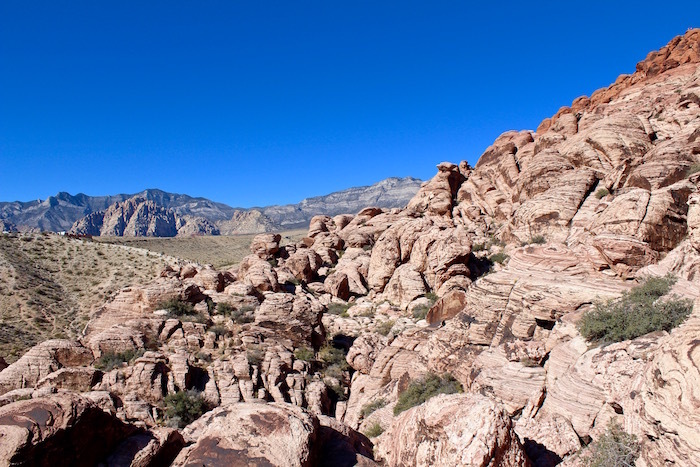 Located just 15 miles west of The Strip, Red Rock Canyon makes up over 195,000 acres of the Mojave Desert. 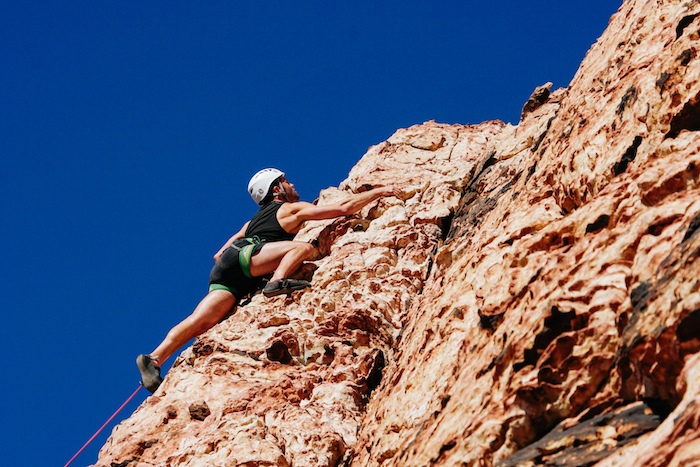 This National Conservation Area has it all – hiking trails, scenic drives, biking, camping, off-roading and of course rock climbing. 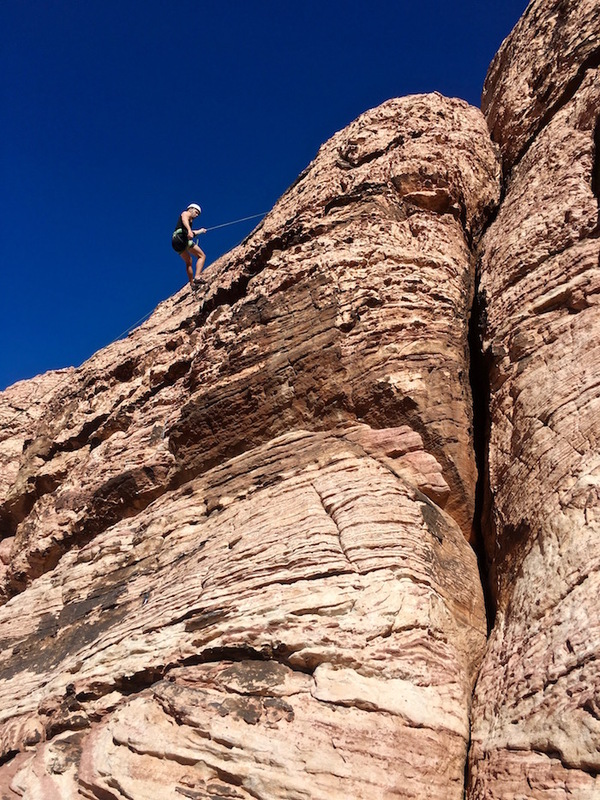 With experienced, knowledgeable and friendly guides from the American Alpine Institute (which I highly recommend) our group of first-timers to experts spent 4 – 5 hours scaling some of the best sandstone walls in the country. 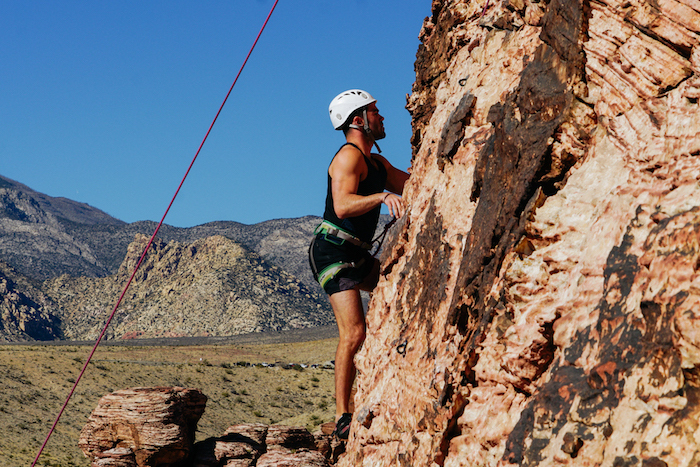 Rock climbing here offers an active workout and a peaceful way to enjoy some clean air away from smoky casinos. 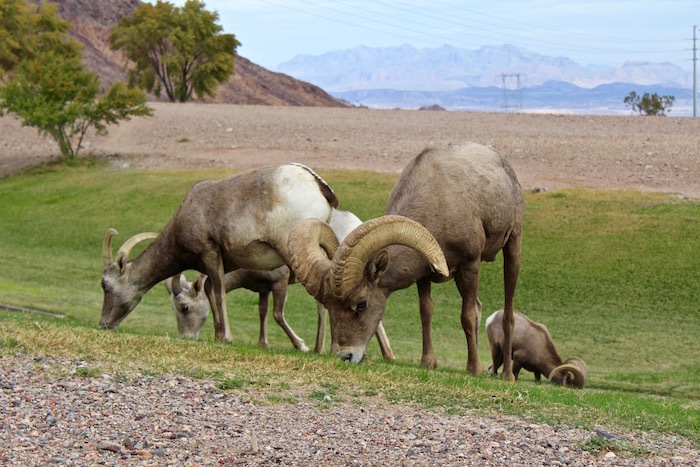 More details on approved outfitters and can be found with the Bureau of Land Management. 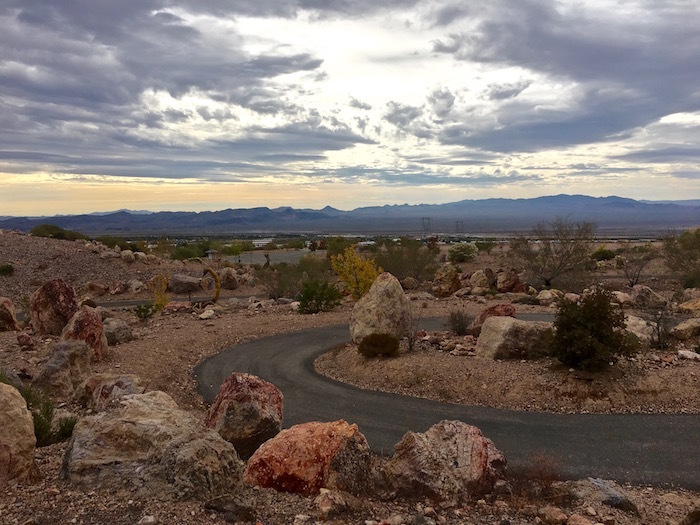 Since its completion in the Fall of 2012, the River Mountain Loop Trail is one of Vegas’ hidden outdoor gems. 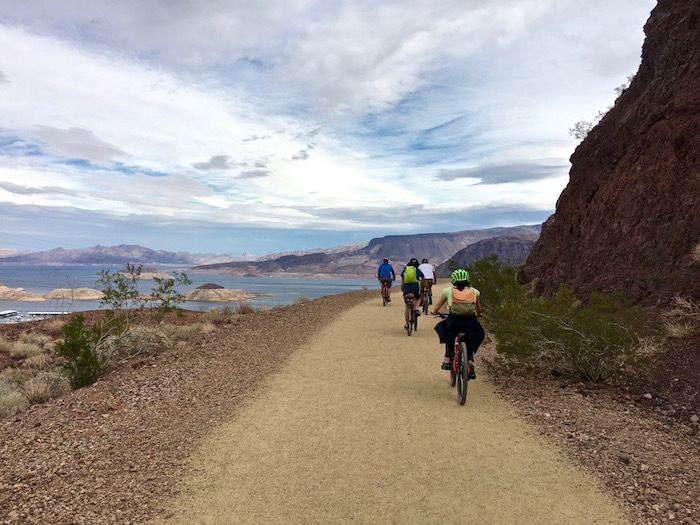 Biking along this 34 mile path provides any cyclist an enjoyable ride with scenic views and wildlife of the Mojave Desert in the surrounding Lake Mead, Hoover Dam, Las Vegas Valley, Henderson and Boulder City areas. 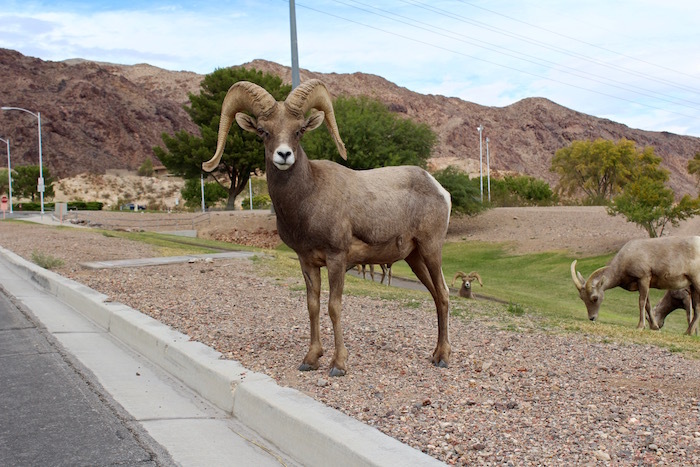 One of the highlights was watching Desert Bighorn Sheep roam the streets and graze fields. 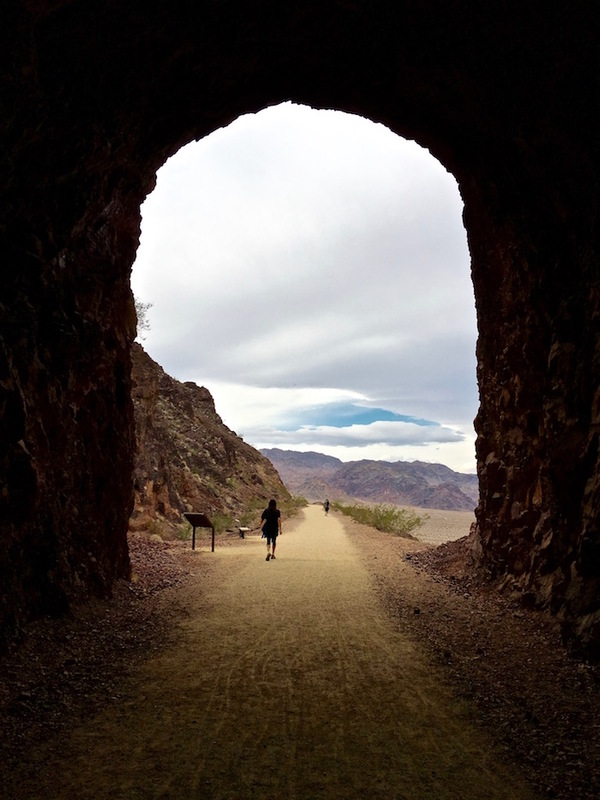 Another highlight was biking the Historic Railroad Trail section that takes you through five tunnels overlooking Lake Mead on your way to the Hoover Dam. The loop varies from paved to dirt paths and is easy to intermediate in difficulty. 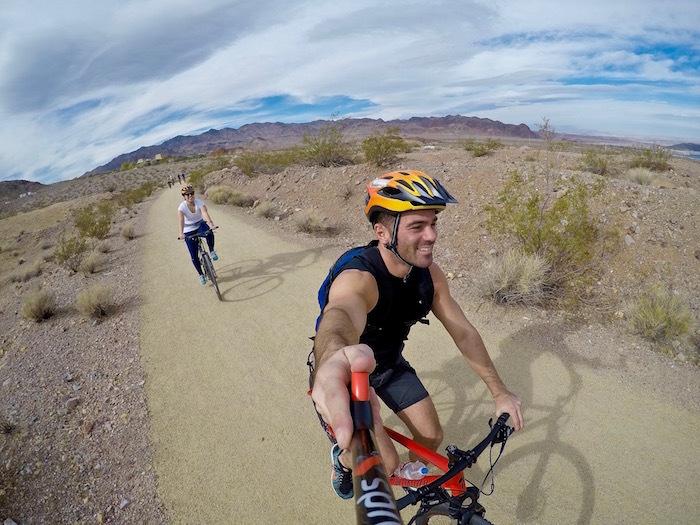 All Mountain Cyclery in Boulder City is the one stop shop for all your rental and tour needs. 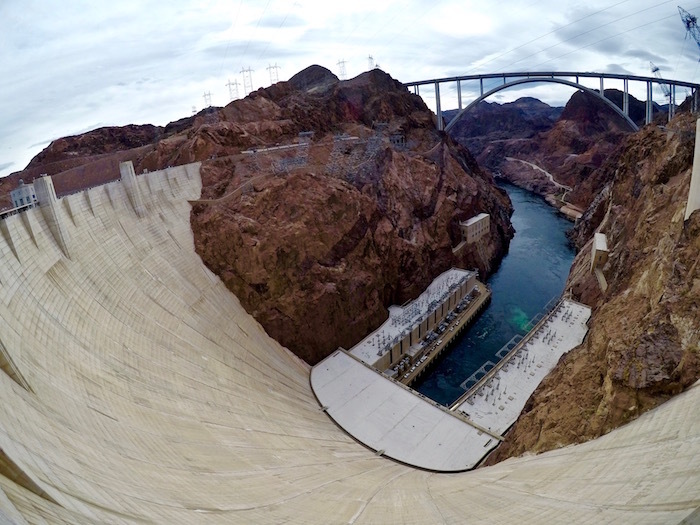 The most touristy thing on my list is visiting the Hoover Dam. 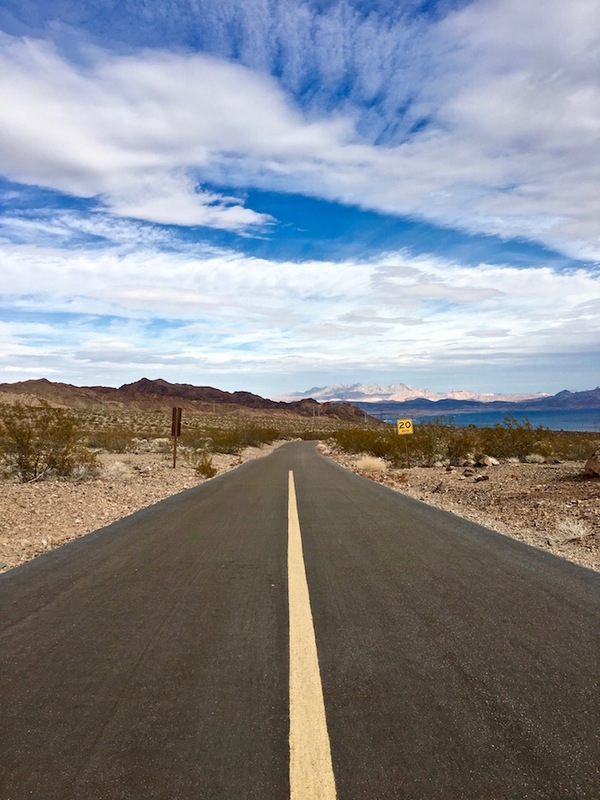 Traveling here 30 miles southeast of Vegas provides an adventure that marries American history and nature. 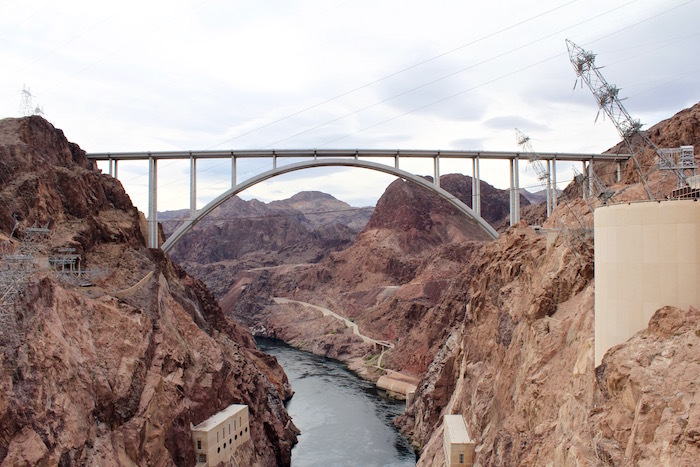 The Hoover Dam was built over 5 years between 1931 and 1936 during the Great Depression. 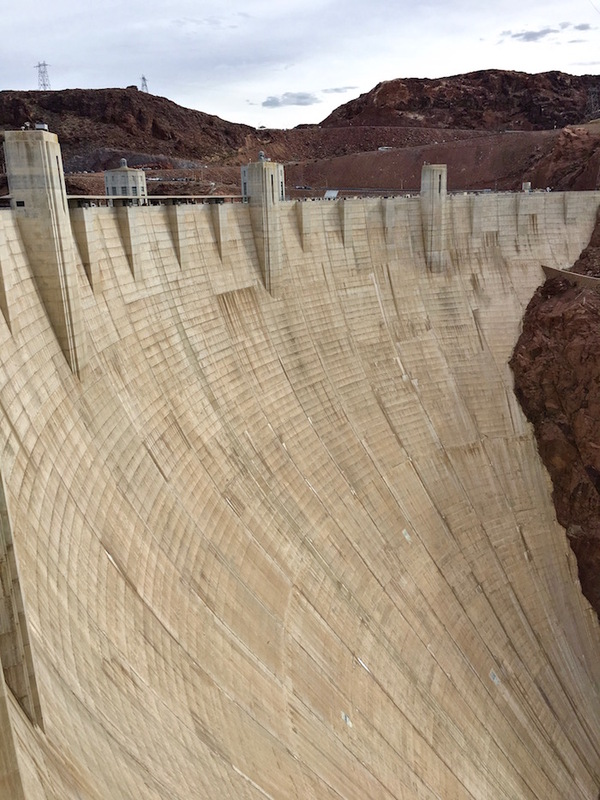 Located along the Colorado River at the Nevada and Arizona border, this massive (and impressive) concrete structure produces hydroelectric power, controls floods and provides irrigation. 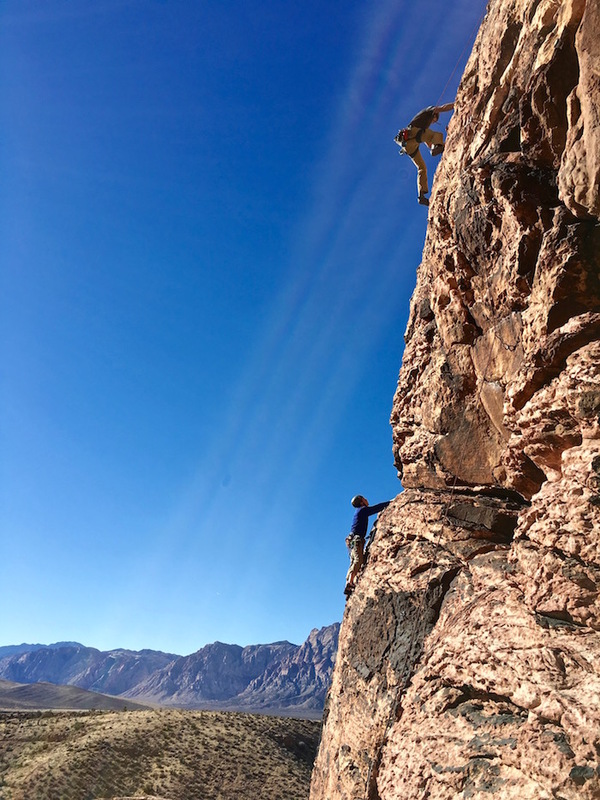 It’s the only place on the list that you’ll probably have to deal with crowds, but worth the epic views of Black Canyon. 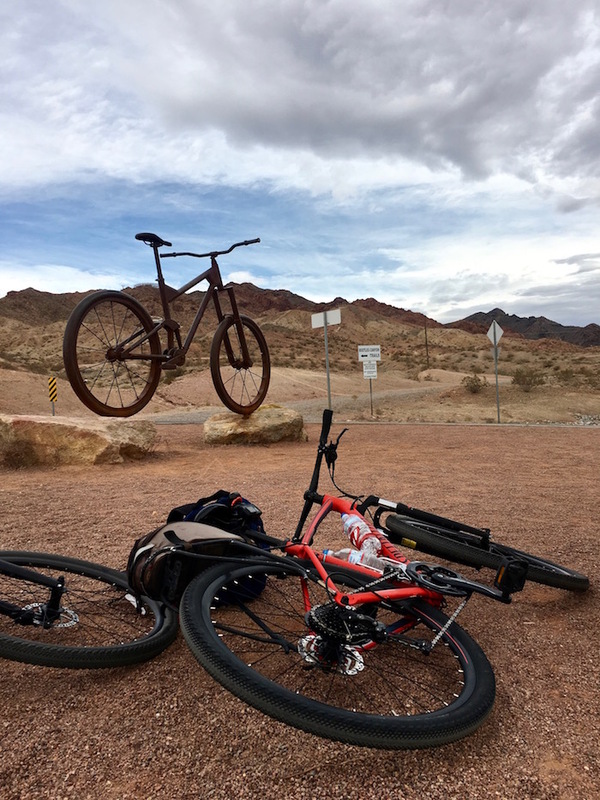 What’s the best way to cap off a River Mountain Loop trail bike ride to the Hoover Dam? Beers at Boulder Dam Brewing Company! I was in heaven drinking a Six-Shooter sampler of hand crafted beers by the Brew Guru, Todd Cook. As Todd poured beer into our small steins, his passion for brewing flowed effortlessly. 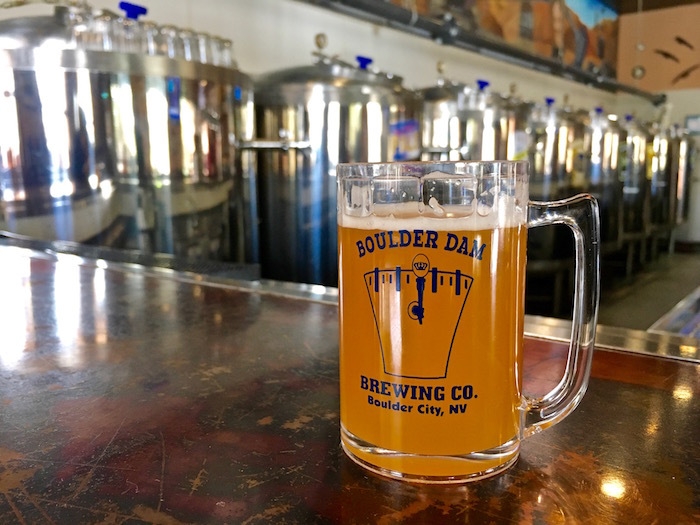 Boulder Dam Brewing Company uses both local and world-renowned hops (ie: from Germany) to create everything from pilsners to IPAs to stouts. 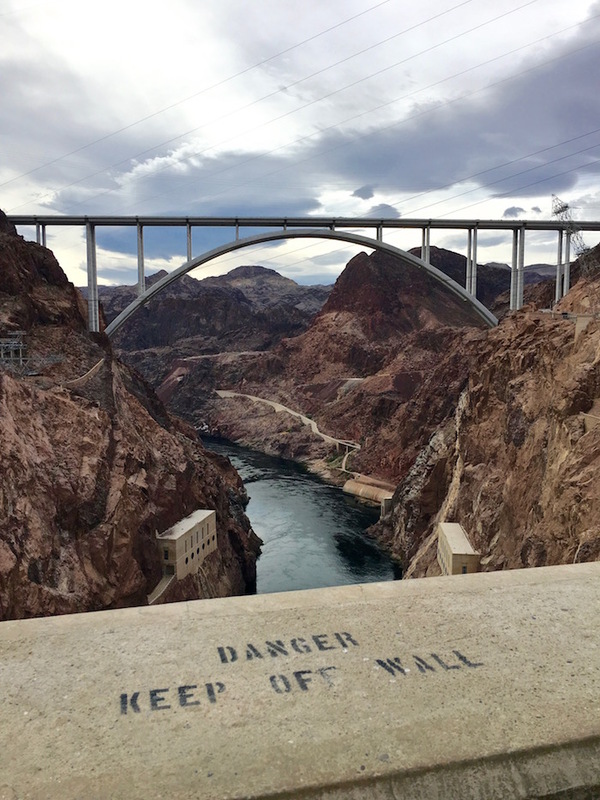 It’s home to eight brewing tanks, equipment used to construct the Hoover Dam, live music and tasty comfort food. 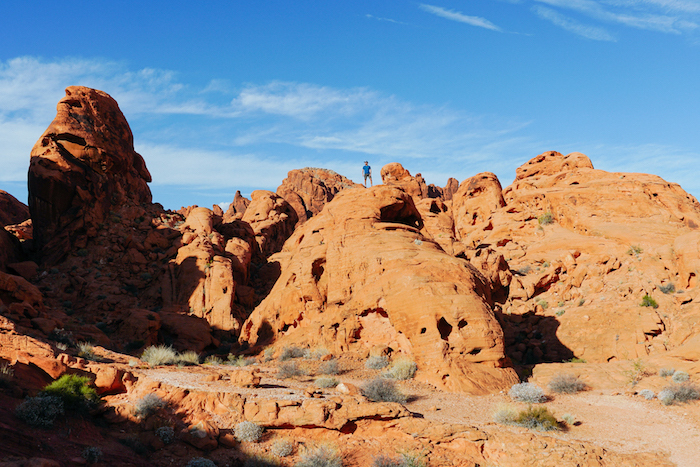 Say hello to Nevada’s oldest and largest state park – Valley of Fire. 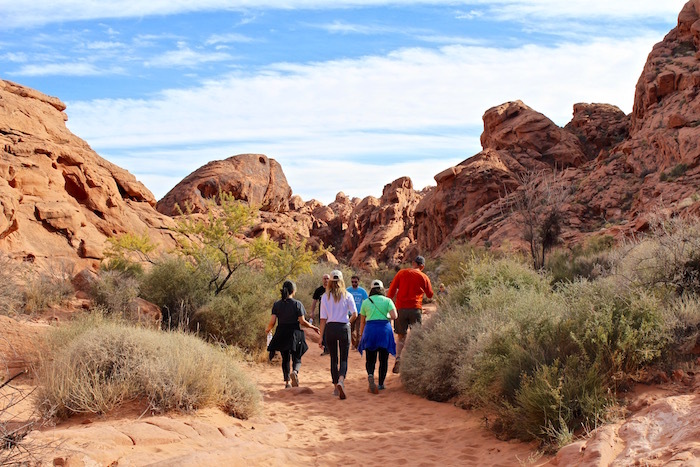 Hiking through Valley of Fire State Park will transport you back in time to the Stone Age! Along the various trails we hunted for petroglyphs and petrified trees. With every step we were treated to different Aztec sandstone formations that were formed 150 million years ago. I was waiting for dinosaurs to casually stroll by! For more information about popular hikes stop by the visitor center and ask about Mouse’s Tank, Fire Canyon/Silica Dome and White Domes. If you’ve been to Las Vegas I’m willing to bet that you’ve most likely stayed on or near The Strip. Next time, give downtown Vegas a shot. Over the past few years a lot of work, money and love has been poured into downtown to make it safer, revitalized and fun. 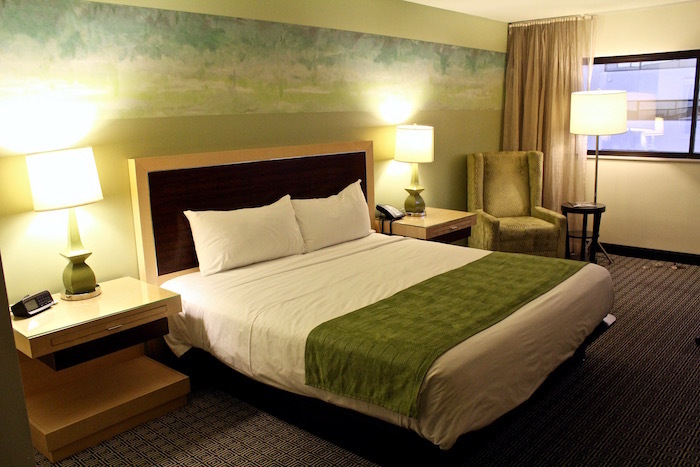 The Downtown Grand offers modern Strip-like vibes with a great location for downtown access. Container Park is a unique outdoor dining, shopping and event space made up of renovated shipping containers. Freemont Street provides classic Vegas needs such as casinos, live entertainment, light shows and even zip lining. Staying downtown resulted in my best trip to Vegas to date! Now I really wish I’d come with you! This looks epic. 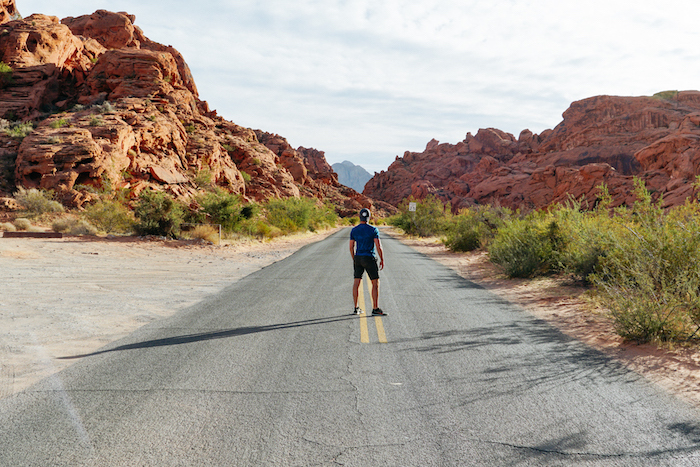 Who knew there was more to the Vegas area than tacky casinos and Strip nightlife? 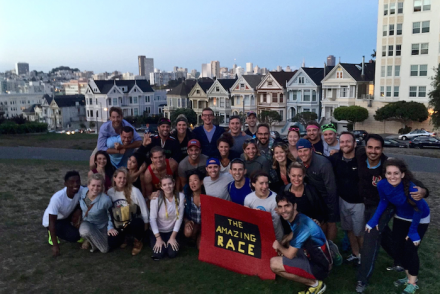 It was an EPIC outdoor adventure trip! 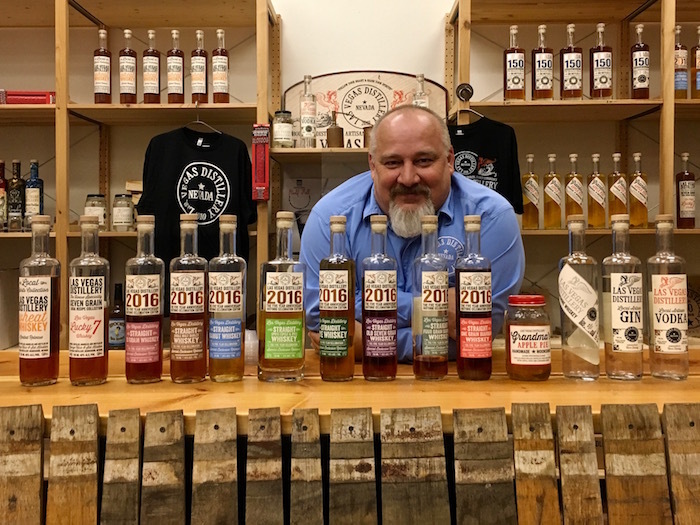 I had no idea that this much existed all within an hour from the “typical” Vegas experience. I’ll never look at it the same again! 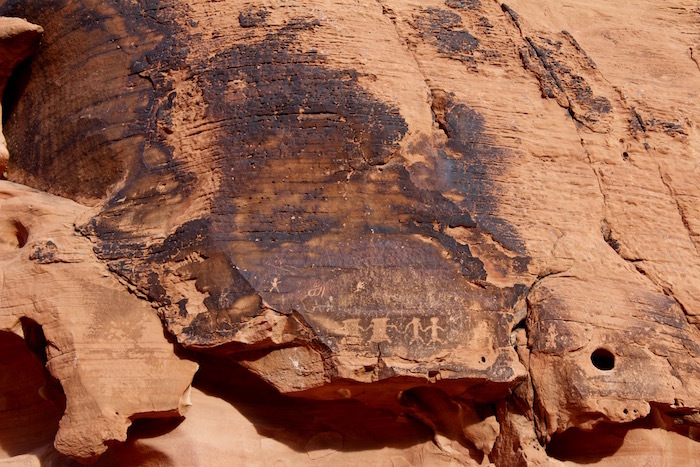 Don’t miss the petroglyphs in Sloan Canyon National Conservation Area and take a tour of Ethel M Chocolate Factory. Great tips! Thanks Marilyn. I’ll have to check those out next time I’m there.